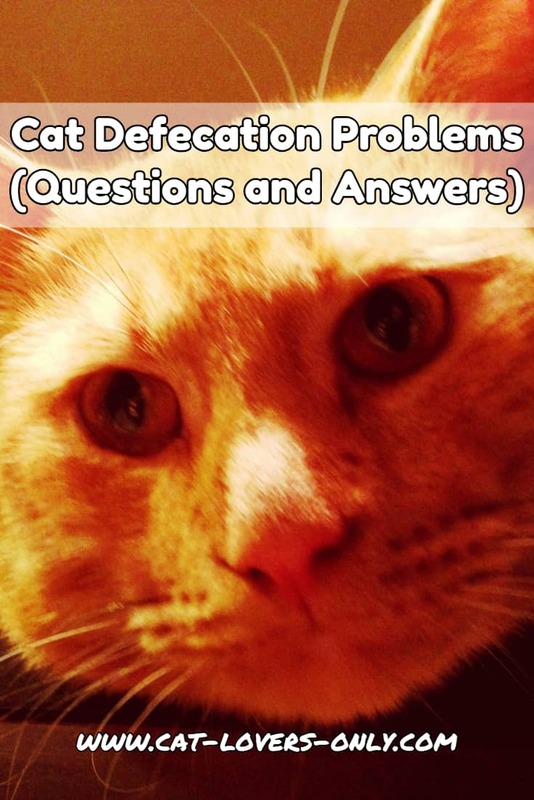 Troubled by Cat Defecation Problems? Is your cat pooping outside of the litter box? You'll find suggested solutions here, as well as a whole lot of company. In short, this is where the cats with defecation problems hang out. If you and your kitty are troubled by this issue, you're probably suffering through the mess, the smell and the uncertainty of wondering what's wrong with your cat. Your cat is suffering, too. Under normal circumstances, your kitty wants to use the box. You're wondering what the cause is, if it's something you might have done, and if there's anything you can do to fix it. Or even if it's fixable at this point. Either way, you need some relief from the stress. You may even feel as though you want to give up your cat, or perhaps your spouse or significant other is fed up. In many cases, it doesn't have to be this way. As best I can, I've tried to include everything you need to know to approach these types of problems and fix them. But, sometimes a little personalized response or even just telling your story helps you to think it through. Below you'll find visitor questions and answers surrounding inappropriate elimination. Each one was submitted by a visitor, who like you, had a problem and was trying to think it through. Each one has a different story behind it, but the problem solving is pretty much the same. If you're looking for some relief, you might just find some contained within these question and answer pages. If not, you can submit your story tell us about the problem you're experiencing and I'll point you in the right direction. Is your cat defecating outside the litter box? My cat pooed in the shower! Cat is pooping next to the litter box?